Nigeria’s U20 team, the Flying Eagles will begin their quest to become world champions for the very first time when the World Cup kicks off in New Zealand on May 30. Brazil, Hungary and Korea DPR are the Flying Eagles’ group opponents in New Zealand. The Flying Eagles will face the South Americans first on June 1 at Stadium, Taranaki, New Plymouth. Nigeria go into that contest knowing they have never defeated Brazil at this level in a competitive game. Expectations are however high that this is the year when the Flying Eagles finally take the monkey off their back and beat the ‘Samba Boys’ for the very first time. Nigeria’s coach, Manu Garba is spoiled for choice with prodigious and precocious talent at his disposal. In Manchester City’s Kelechi Iheanacho, he has perhaps the most coveted 18-year old in world football. Iheanacho has been doing impressive things for City’s Elite Development Squad (EDS) and scored vital goals against Chelsea, FC Porto and Manchester United in recent weeks. Garba can also call upon the services of Success Isaac (Granada, Spain), Moses Simon, a league champion with Gent in Belgium and Taiwo Awoniyi, the youngster severally touted to be the heir apparent to legendary striker, the late Rashidi Yekini. Nigeria’s opponents are aware of the strengths of the West Africans with Brazil’s coach, Alexandre Gallo admitting that the Flying Eagles “can cause us problems”. “Nigeria always causes us problems. The team is a strong one, technically good with good players,” Gallo said. Nigerian striker, Awoniyi has since confessed that they know little about the Brazilians or indeed any of their other group rivals ahead of their preliminary matches. “We are yet to watch any videos of our opponents but our coaches have concentrated fully on preparing us for whatever challenges we will come across. We are ready,” the striker told the official Fifa website, www.fifa.com. Gallo however insists Brazil will not be caught off guard and explains the strengths and weaknesses of the opposition in the pool. “Hungary has a typically European style – direct football, tall players. North Korea doesn’t have very technical players but the team closes you down a lot, the team has speed and counter-attack intensely,” the Brazil trainer explained. The Flying Eagles will do well to heed the warnings handed down by Gallo when they face the Koreans on June 4 and Hungarians four days later. Nigeria will be making her 11th appearance in the competition. A total of 504 players have been selected by the 24 teams that will compete for the top prize but the 21 selected by Garba will be hoping they make history when the final game is decided on June 20 at the North Harbour Stadium, Auckland. Awoniyi who is expected to be at the tip of the spear for the Flying Eagles in New Zealand is confident about the chances of the side at the tournament. “With the preparations we have put in, we want to be world champions in New Zealand. Every game will be a cup final for us. “Our biggest strength is outside the pitch of play. It is the unity among the players. We are a big, happy family. On a personal level, scoring goals comes naturally to me. “I also hold the ball upfront and try and bring my teammates into the attack. I play for the team as well,” he said. The coach is also optimistic but chose the path of modesty when he exclusively spoke to supersport.com before the team departed for Germany for the final phase of their preparations for the World Cup. “We know we are a good side but we will approach all our games with respect for our opponents. “The objective is to win every game at the tournament and if we eventually win the trophy then we will celebrate,” he said. Strong and effective performances in New Zealand will put expansive smiles on the faces of Nigerians at the end of the tournament. Posted in Senza categoria and tagged nazionale under 20 on maggio 27, 2015 by calciocorea. CI SIAMO RIUSCITI!!!!! SIAMO SALVI!!!! Oggi nonostante la sconfitta 1-0 con il Grasshopper, grazie alla sconfitta di FC Aarau a St. Gallen, siamo matematicamente salvi con una giornata d’anticipo! Vorrei ringraziare i nostri giocatori per essere riusciti a realizzare quello che a inizio anno era solo un sogno e grazie a tutti voi che mi avete seguito attraverso alterne fortune per tutta la stagione.Venerdì giochiamo a Berna alle 20:30, una partita fra due squadre che non hanno più niente da chiedere al campionato: potremmo divertirci! Posted in Senza categoria and tagged pak kwang ryong on maggio 25, 2015 by calciocorea. Posted in Senza categoria and tagged nazionale under 20 on maggio 25, 2015 by calciocorea. Posted in Senza categoria on maggio 25, 2015 by calciocorea. KIM YUN OK con 9 gol è capocannoniere del torneo. 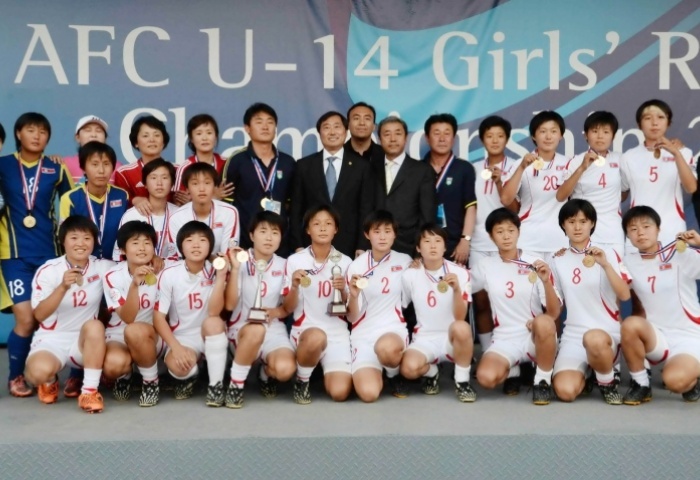 Posted in Senza categoria and tagged nazionale femminile under 14 on maggio 25, 2015 by calciocorea. 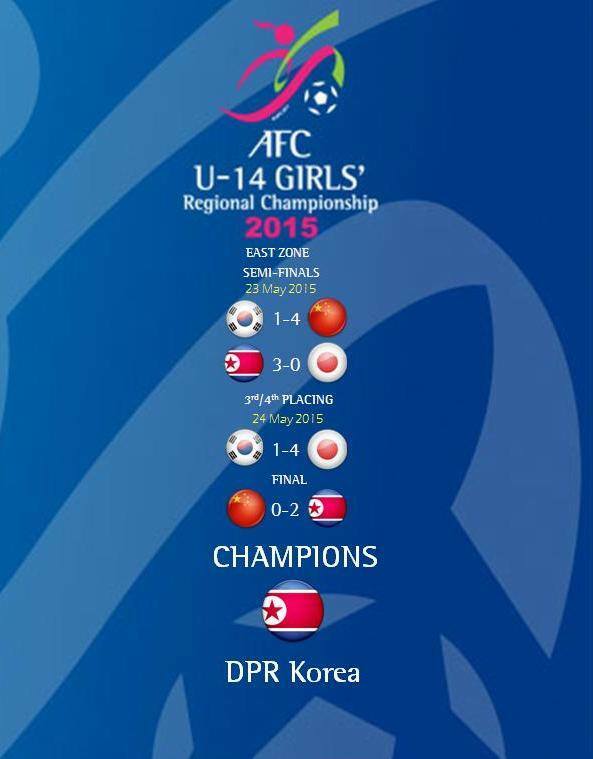 Beijing: Hosts China are set for the final showdown against DPR Korea after both teams won their respective semi-final matches in the AFC U-14 Girls’ Regional Championship for the East zone on Saturday. Korea Republic will take on Japan in the third/fourth placing meeting followed by the final between China and DPR Korea. 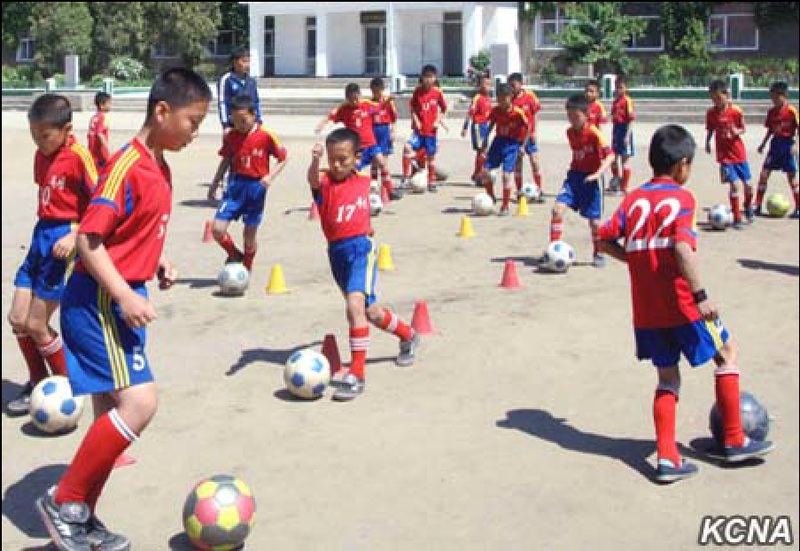 Both matches on Sunday will be held at the National Football Training Centre in Beijing. Posted in Senza categoria on maggio 23, 2015 by calciocorea. 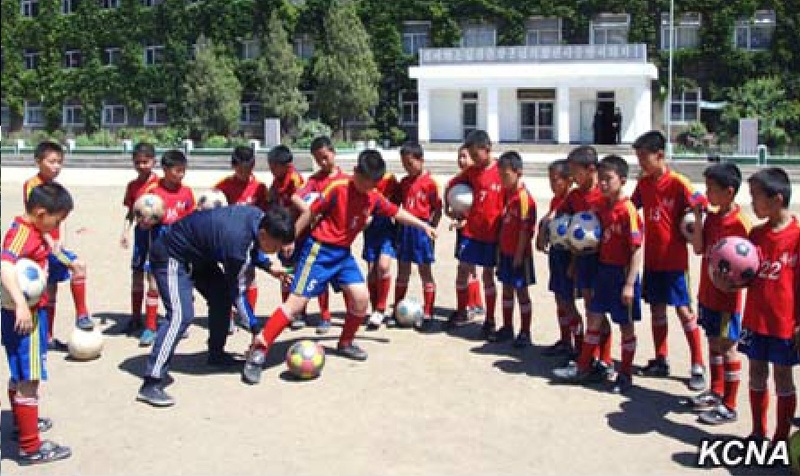 Pyongyang, May 22 (KCNA) — The second national children’s football contest began with due ceremony at Kim Il Sung Stadium on Friday. 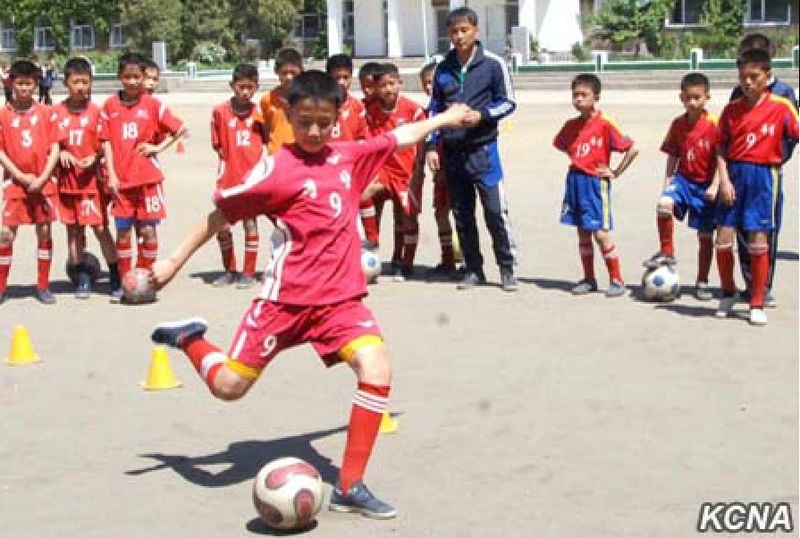 Football teams (boy and girl) selected from Pyongyang and provinces will play league matches in various parts of Pyongyang till May 30. And the finals will be held at the Songdowon International Children’s Camp on June 4. Present at the ceremony were Kim Sung Du, chairman of the Education Commission, Kim Yong Hun, minister of Physical Culture and Sports, officials of the youth league, teachers and schoolchildren. Jon Yong Nam, chairman of the Central Committee of the youth league, made an opening address. 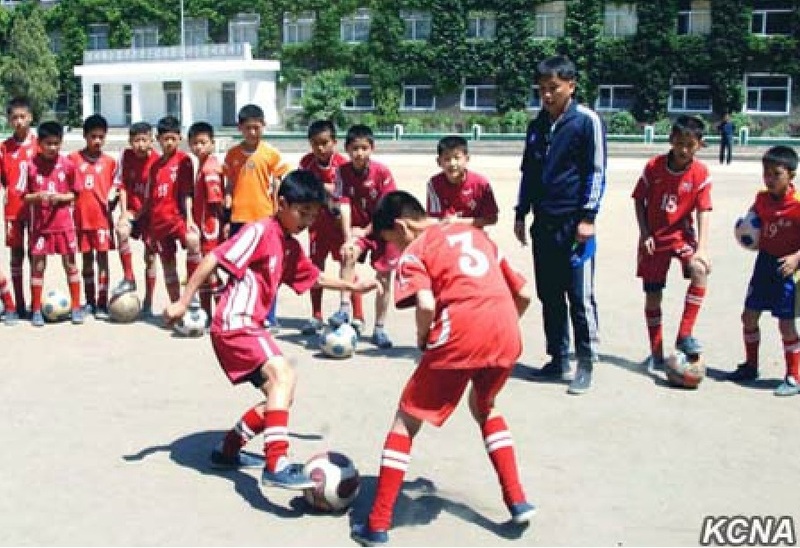 Pyongyang, May 22 (KCNA) — The premier soccer league of Mangyongdae Prize Sports Games came to an end. It has been under way since the end of March. The first round of the league was over late in April. Finals of the second round of men’s soccer league between the April 25 Team and the Kigwancha Team took place at Kim Il Sung Stadium and finals of the second round of the women’s soccer league between the Sobaeksu Team and the Pyongyang Team at May Day Stadium. The April 25 Team came first in the men’s games and the Sobaeksu Team in the women’s games of the second round of the league. The April 25 Men’s Team and the Sobaeksu Women’s Team placed first in the total standings of the premier soccer league respectively. 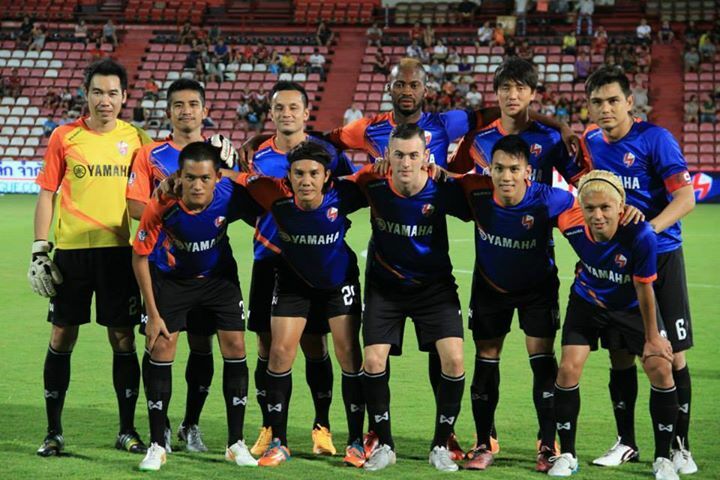 Posted in Senza categoria and tagged dpr korea league on maggio 23, 2015 by calciocorea. 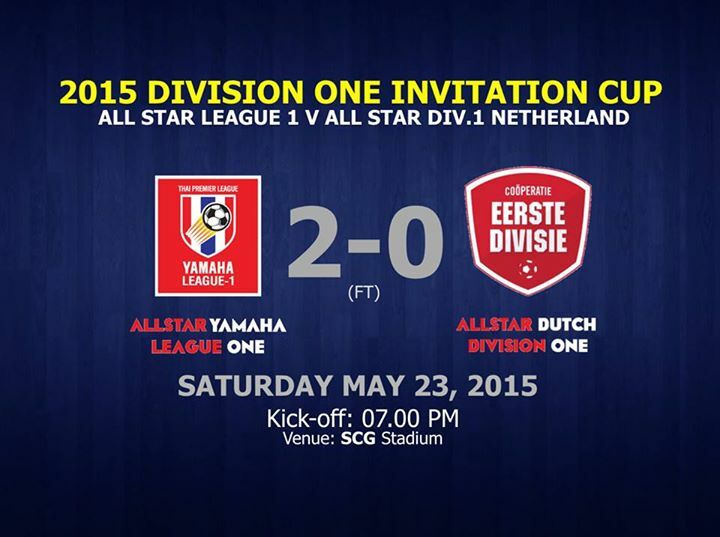 Il difensore del Pattaya ha preso parte alla partita amichevole tra l’All Stars della Thai D1 e la selezione dei migliori giocatori della Eerste Divisie olandese. La gara è finita 2-0 per i “tailandesi”. Posted in Senza categoria and tagged ri kwang chon on maggio 23, 2015 by calciocorea.